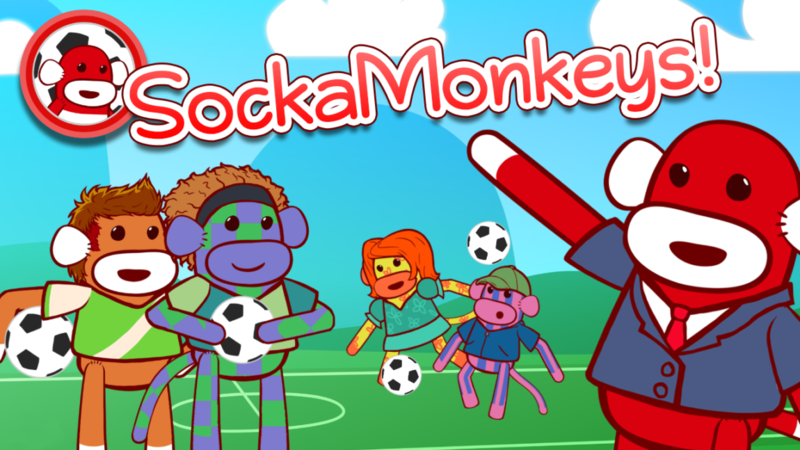 SockaMonkeys is a football themed game aimed at children, produced by SockMonkey Studios. It features several minigames, fun animated characters, and a full character customization system. Released on iOS & Android in June 2016.